Globe Communications, LLC ("Globe") is a specialized utility contractor providing a variety of services to the cable television, power and telecommunications industry as well as government agencies, private corporations and higher education. These services include engineering, design, installation, and maintenance for all phases of inside and outside voice, video and data networks. Founded in 1964, Globe is headquartered in Myrtle Beach, South Carolina. 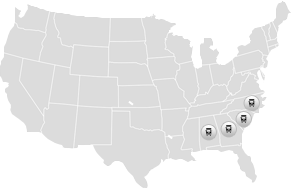 Globe provides services in the Southeastern United States through its many field offices. Globe's experienced management team is committed to offering the highest level of assurance and satisfaction to its customers.